High expectations can be great. They encourage us to strive, push our boundaries and avoid complacency. That said, a low bar is much easier to jump over. In their latest campaign for the state of Oregon, ad agency W+K makes the spirit of “under promise and over deliver” work for them and their client, the Oregon Tourism Board. Titled, “We like it here. 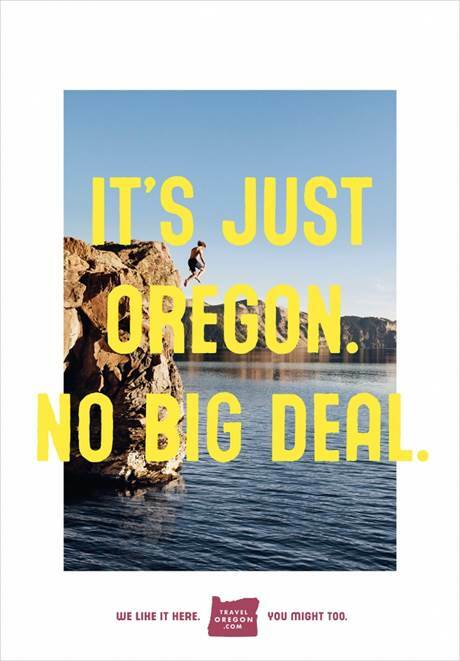 You might too.” the campaign’s posters and videos juxtapose humble text with sweeping, grandiose scenes from the (and yes, I had to google this) Beaver state.